This beautiful shades of pink Mandala Duster is perfect for a "cool" weather day. This Duster measures 45 inches length. This duster is held together with one button to secure the front. This sweater also has a hood. 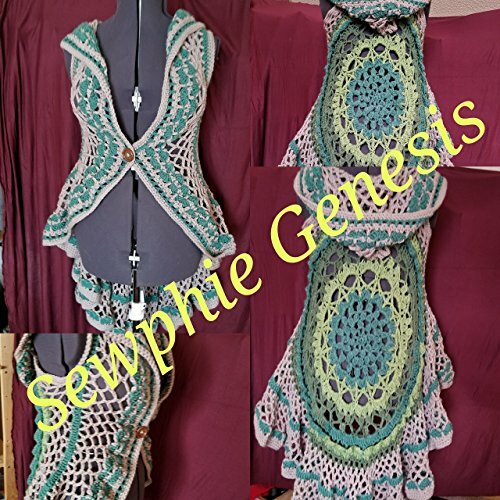 If you have any questions about this product by Sewphie Genesis Creations, contact us by completing and submitting the form below. If you are looking for a specif part number, please include it with your message.